SAN FRANCISCO — In a victory for Uber, a federal appeals court says drivers for the most part have to resolve claims against the company individually and not through a class-action lawsuit. The ruling by the US Court of Appeals for the 9th Circuit on Wednesday came in a lawsuit by Uber drivers over the company’s background checks. But it also affects drivers in a separate suit who accuse the ride-hailing service of exploiting them by treating them as independent contractors instead of employees. That’s because the arbitration clause the ruling upheld also applies to the vast majority of the 385,000 current and former drivers in Massachusetts and California covered by the lawsuit. Those drivers will now have less leverage against Uber as they pursue claims individually through arbitration instead of as a group through a class-action suit. The decision found that Uber’s arbitration agreements with drivers were valid. US District Judge Edward Chen in San Francisco had ruled that Uber’s arbitration agreements with drivers were not valid. In August, Chen rejected Uber’s $100 million settlement with drivers who wanted to be paid for mileage and earn tips. Uber, armed with the appeals court ruling, may be able to extract more concessions and a more favorable settlement. Or, it could walk away from negotiations altogether, confident that the vast majority of driver disputes would be left to arbitration. “We were very aware that this decision was likely coming, which was the primary argument for why I was urging the district court to approve the settlement,” she said in an e-mailed statement. Ted Boutrous, a lawyer for Uber, meanwhile, hailed the ruling as a victory. In a consolation for drivers, the appeals court said they will be able to proceed in court with claims brought under California’s so-called bounty hunter law, the Private Attorneys General Act, or PAGA, which allows employees to step into the shoes of the state’s labor commissioner to bring enforcement actions. 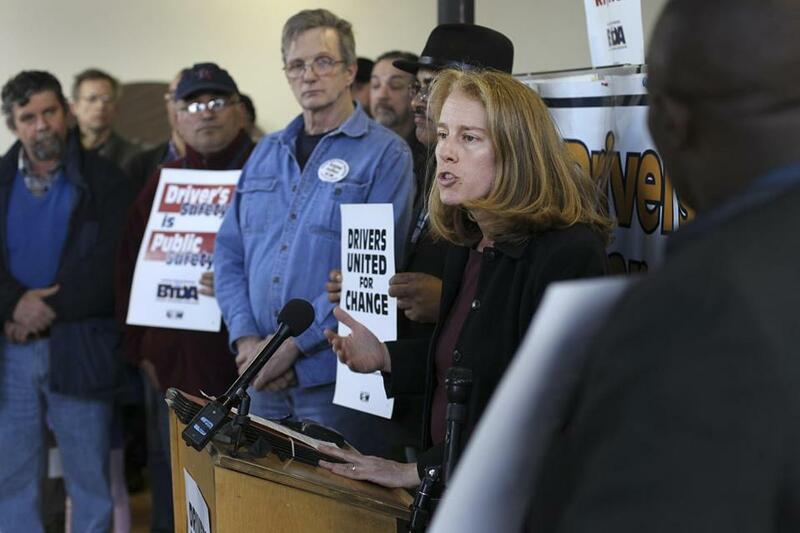 “We do still have the possibility of the PAGA penalties (which are mostly for the state of California), and we have more than 1,500 Uber drivers signed up in California to pursue individual arbitrations if necessary,” Liss-Riordan said in her statement. If negotiations in the three-year-old lawsuit collapse, the world’s most valuable technology startup would escape without any significant changes to its business model, leaving its California and Massachusetts drivers classified as independent contractors. Chen is the only federal judge who has found Uber’s arbitration agreements unenforceable. Uber has since revised its driver contracts, allowing it to smother similar challenges in Arizona, Ohio, Florida, and Maryland, with federal judges in those states upholding its arbitration requirements this year. The appeals court ruling might also give Uber more leverage with drivers suing to overturn its gig-economy workforce model in other states, where labor laws tend to give companies more leeway than in California. The company also faces lawsuits over its pricing and business practices, as well as efforts by local regulators to force it to comply with laws covering taxis. Uber, with a valuation last month of $69 billion, dominates the ride-hailing industry worldwide as the most used taxi app in 108 countries, according to analytics provider SimilarWeb. Uber’s net revenue was about $960 million in the first quarter of this year, and about $1.1 billion in the second quarter, with losses of more than $1.27 billion in the first half of 2016, according to people familiar with the figures.